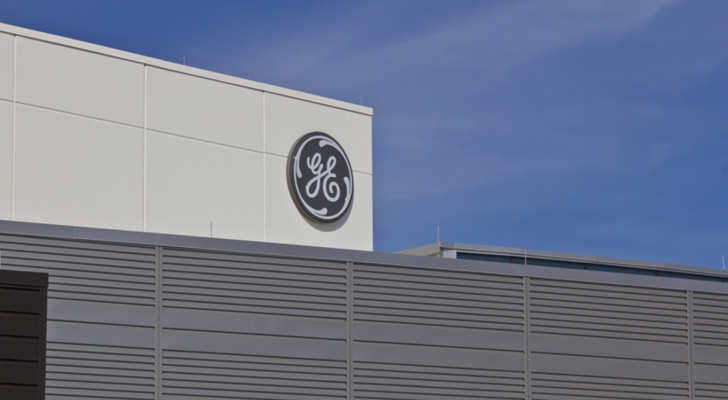 Back in mid-December, yours truly here suggested General Electric Company (NYSE:GE) was a (speculative) buy, not simply because GE stock had been beaten to a pulp, but because the overzealous sellers overshot, sending shares 44% lower in 2017. Yes, things were and still are ugly for the company, but the worst-case scenario had been, I felt, more than priced into the stock’s shares. Not much has changed in the meantime. More opinions about General Electric’s future have surfaced, many of them bearish, and we’ve gotten a better feel for what 2018 might look like for GE after last year’s rather drastic dividend cut. Remember, the payout was reduced by half, wiping out one of the last lingering reasons to be excited about owning GE stock, and not many new ones have been unveiled in the meantime. And yet, I still contend there’s more upside than downside here for investors that can stomach the volatility that’s sure to come. I’m still using that idea as the premise for my turnaround call. Some/most of my colleagues have disagreed with the thesis, with a handful of them somewhere in between. A week later Aaron Levitt said GE stock wasn’t a value play yet, for instance, and outside of the InvestorPlace universe JPMorgan analyst Stephen Tusa continues holds GE stock at an “Underweight” rating on concerns that the turnaround story lacks credibility. I respect all those opinions too. This is a case, however, where my conviction is a bit higher than usual (for me) not for the arguable, tangible reasons but rather for the more ethereal reasons. That’s the fancy way of saying I’m trusting my gut, concluding that there’s just too much doubt still surrounding General Electric to assume it’s not all already priced into the stock and then some. That leaves shares nowhere to go but up. I wish I had something cut-and-dried to hold up as a piece of crystal clear evidence that GE on a recovery track. I don’t, however, which is admittedly a liability in and of itself. After being in this business for a couple of decades though (and being an investor for longer than that), I can’t count the number of times a highly-doubted stock dished out a pleasant surprise. Best Buy Co Inc (NYSE:BBY) and Weight Watchers International, Inc. (NYSE:WTW) come to mind. The latter was supposed to be on its deathbed as of 2012, thanks to the proliferation of Amazon.com, Inc. (NASDAQ:AMZN). Since late-2012 though, BBY shares have gained more than 500%, reflecting the retailer’s turnaround. As for Weight Watchers, WTW stock has rallied more than 1000% from its 2015 low, in step with the organization’s rekindled relevancy. Both stocks were getting absolutely hammered leading up to their pivotal turnarounds. Moral of the story? In the right hands, companies can be fixed. And that’s worth repeating: companies CAN be fixed when they’re in the right hands. The question is, of course, whether or not CEO John Flannery offer the ‘right hands’ to do the repair job. We don’t know yet, but there’s no denying he’s got the guts to do the right, even if unpopular, things. Cutting the dividend is one of the tough external decisions he’s made, while pulling the plug on some executive perks says he’s not afraid to ruffle feathers internally either. Levitt and Tusa were both ultimately right, by the way. Even with a forward-looking P/E of 17.7, GE stock isn’t exactly a value play, and there’s not any reason to trust that Flannery’s already got the turnaround story underway. There also wasn’t any reason to trust that Hubert Joly had Best Buy’s turnaround story underway when he came on board back in 2012. There was no reason to think Weight Watchers’ “Beyond the Scale” revamp in 2015 would lead to such incredible results, but it did, because at their cores each are respected brand names with fixable factors. The same goes for General Electric, and in retrospect that drubbing from late last year looks more and more like a capitulation. Again though, you won’t hear that bullish argument until it doesn’t matter nearly as much as it does now, with GE stock still within sight of multi-year lows. Article printed from InvestorPlace Media, https://investorplace.com/2018/01/ge-stock-buy-doubts/.